A riveting World War II thriller filled with espionage and romance in equal measure, The Exception follows German officer Captain Stefan Brandt (Jai Courtney) as he goes on a mission to investigate exiled German monarch Kaiser Wilhelm II (Christopher Plummer). The Kaiser lives in a secluded mansion in the Netherlands, and as Germany is taking over Holland, the country's authorities are concerned that Dutch spies may be watching the Kaiser. As Brandt begins to infiltrate the Kaiser's life in search of clues, he finds himself drawn into an unexpected and passionate romance with Mieke (Lily James), one of the Kaiser's maids whom Brandt soon discovers is secretly Jewish. Loyalty has its limits. Once honor and duty start to diverge, even once seemingly steadfast allegiances can be brought into question, forcing some to ultimately make a choice between their preconceived devotions and their underlying humanity. Torn between love and service, this is exactly the dilemma that the protagonists of David Leveaux's The Exception find themselves in. Familiar yet elegantly crafted, the war-time drama ultimately weaves an affecting story from its old-fashioned tale about conflicted loyalties, star-crossed romance, and hidden agendas. 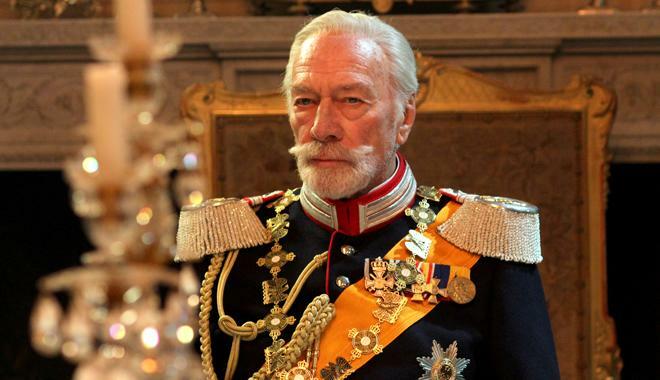 Based on Alan Judd's novel, "The Kaiser's Last Kiss," the movie presents a fictionalized account of Kaiser Wilhelm II (Christopher Plummer) during his exile from Germany in World War II. When the Third Reich begins to suspect that a Dutch spy may have been planted within the Kaiser's home in the Netherlands, they send a solider, Captain Stefan Brandt (Jai Courtney), to investigate. 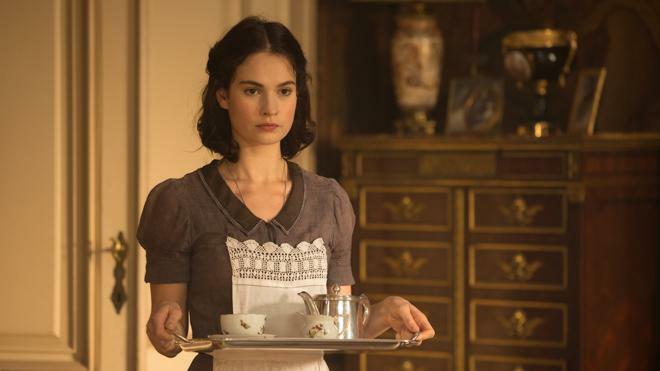 But as Brandt starts to develop feelings for one of the Kaiser's maids, Mieke (Lily James), his real loyalties are soon put to the test when he discovers that she is Jewish. Mixing elements of an espionage thriller with period piece romance, the narrative balances an oscillating web of secrets and lies as Brandt and Mieke gradually discover each other's true missions and feelings for one another. This leads to some palpable tension, especially during the third act when characters are forced to make some hard decisions and potential betrayals. Throughout it all, James and Courtney foster solid chemistry -- though their initial introduction and "love scene" feel a bit unrealistic and unpleasant as Brandt immediately demands for Mieke to take off her clothes the second they meet. In their next encounter, however, Mieke turns the tables on him and soon (after they actually learn each other's names) they begin to form a deeper and more believable connection. Beyond the story's central romance, the movie also places a good amount of focus on the Kaiser himself. Depicted in a rather sympathetic light, the former German Emperor is portrayed as a man at odds with the shifting tides of time and the rise of Nazism. Christopher Plummer handles the role with a likeable charm and dignity, lending the man a grandfatherly air as he wavers between kindly conversations with Mieke and drunken bursts of anger about the current Nazi regime. Again, much like certain elements of the love story, the Kaiser's characterization isn't always very realistic, and instead, often adheres to dated genre tropes -- but this interpretation fits in well with the film's elegantly old-fashioned approach to historical fiction. With that said, as handsomely crafted and classically composed as the script and cinematography are, the story can't help but feel quite familiar at times, evoking many similar tales about war-time resistance and forbidden romance. Still, the movie's central themes tied to loyalty, duty, and compassion are affecting and fittingly explored, probing a tad deeper than many modern thrillers usually attempt to go. 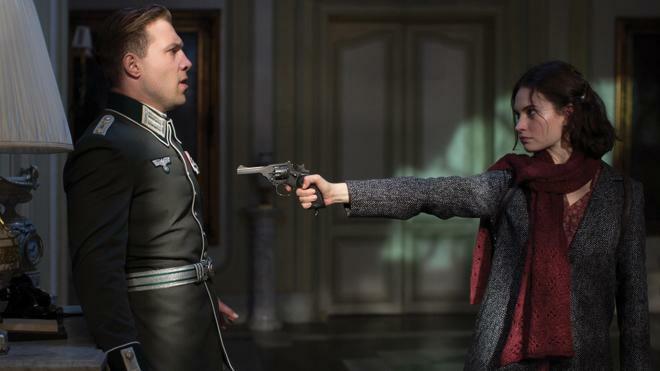 The Exception might stick a little too closely to well-worn genre conventions, but the execution proves that these elements can remain engaging under the right hands, resulting in a very solid cinematic debut for director David Leveaux. 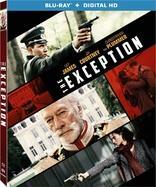 Lionsgate presents The Exception in a Blu-ray/Digital HD combo pack. A BD-25 Blu-ray disc comes housed in a keepcase with a cardboard slipcover. Instructions for an UltraViolet digital copy are included as well. After some logos and skippable trailers, the region A disc transitions to a standard menu. The movie is provided with a 1080p/AVC MPEG-4 transfer in the 2.39:1 aspect. While the majority of the video presentation is quite strong, some occasional compression issues end up holding back the score. The digital source is in pristine shape with a clean, crisp look free from any noise or grain. Some shots have a faintly diffuse quality with a softer look, but overall clarity is good with sharp textures, highlighting all of the fine details in the Kaiser's ornate home. The palette is a bit on the drab side, emphasizing the war-time era with grey, blue, beige, and yellow tones -- though there are key pops of reds and greens, particularly in bright scenes set outdoors. Fleshtones are mostly natural or in line with the chosen aesthetic, but the comparatively rosy complexions featured in one dinner sequence seem a little out of place. Contrast is balanced well and blacks are deep. With that said, there is some noticeable false contouring/banding evident in shadows and highlights in darker scenes, especially during the climactic escape sequence. For the most part, The Exception hits Blu-ray with a very solid transfer, but some artifacts here and there show some room for improvement. The film is presented with an English DTS-HD MA 5.1 track, along with optional English SDH and Spanish subtitles. Layered with fitting ambiance and range, this is a very effective mix. Dialogue is clean throughout, though some whispered lines are a little on the soft side. General atmospherics are strong, spreading appropriate effects around with solid surround presence. Vigorous typing and ringing phones gently fill the speakers during scenes set in a bustling war office, and various birds, ducks, and crickets lend some delicate texture to the grounds of the Kaiser's estate. Livelier elements, like soaring planes and speeding cars swoop from left and right and front to back with smooth imaging and directionality. Likewise, gunshots bring a loud, permeating kick to the track, and recurring telegraph sounds serve as an enveloping auditory motif. The movie's score also carries pleasing separation and range. The mix might not ever qualify as demo material, but the subtle sound design work creates an engaging atmosphere. Audio Commentary with Director David Leveaux – The film's director offers a very soft spoken but solid track, elaborating on the movie's source material, locations, cinematography, characters, and themes. While there are a few gaps here and there and Leveaux isn't the liveliest speaker, this is a worthy inclusion. Behind The Scenes of The Exception (HD, 20 min) – Presented in 1080p with Dolby Digital 2.0 audio, this is a short doc with cast & crew interviews and on set footage. The participants discuss the film's characters and script while touching upon the original novel and how they used history as a jumping off point to tell the story. David Leveaux's The Exception is an old-fashioned yet handsomely directed war-time drama. Certain genre tropes feel too familiar or dated, but the movie's blend of romance and espionage can be gripping. The audio mix features engaging design work and, despite some occasional artifacts, the video transfer is solid. When it comes to bonus material, we get a decent commentary and behind-the-scenes doc, helping to round out the package. Worth a look.